How much to charge for renting an apartment? If you have an investment property, or are mulling over one potentially, charging rent is a huge factor. You want to make sure you are charging a fair price that is also profitable. There are many things to think about before you create a set number. By and large, rent is connected with your operating cost to own and uphold the home and could include utilities, and maintenance. Total that plus the sum of profit you would like to make to find a raw digit. Evaluate the rental amount that others in your area are asking for by the size of the apartment. A real estate can assist you with this by doing a comparative market analysis in your location. Characteristically, owners of apartments demand a security deposit. The price of it ranges from unit to unit and could be the entirety of the first and last month’s rent. Essentially, the money that is gathered is assurance to the owner that the renter is liable for keeping the apartment in shape. At the execution of the lease, if the apartment appears to be normal, the lessee has their deposit returned. On the other hand, in the case of irreversible damage, the security deposit could be forfeited and due to fix the problems. Every apartment rental agreement is bound to come with terms regarding accidents. For example, it should be clear to know who to contact if the shower stops draining. Perhaps, accidents that cause severe destruction from the renter should happen in the apartment. They will be responsible to compensate. One prerequisite before finding the ideal candidate is renter’s insurance. It’s a good idea just in case one of those accidents should happen, and the tenant doesn’t have the cash to pay. The person who moves in should obtain their own policy. This coverage defends the lessee from liability for damages. Meanwhile, it supplies piece of mind to the owner for their investment. 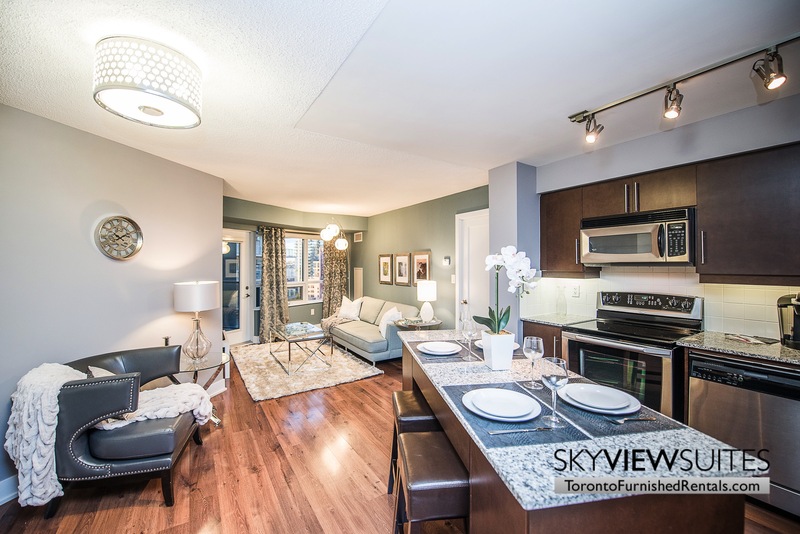 If you have an apartment that you want rented, it’s a good idea to contact SkyViewSuites. We are a group of Toronto property managers that can guarantee that your investment is a lucrative one. We will work with you to find out what the goals for renting your apartment are.